The other day, I was at my insurance agent’s office. I was standing in the lobby waiting for my turn to meet with her. Suddenly, a woman walked in the building, scurried past me, and told me she just needed to do something real quickly. She walked into the office of the agent and gave her a big hug. While they were hugging, I told them that I was next. After they were done with their hug, the lady who was from off the street turned to me and told me that the agent was a special person and not just anybody could hug her. I promptly replied that I wasn’t referring to the agent. When the woman realized I was referring to HER, she, as pleased as punch, came and gave me a big hug, too. It was an excellent exchange! (By the way, AFTER the woman left, I hugged the agent, too). I have been told, MANY times in my life, that I am a great hugger. I love to hug. There is a natural, soothing, healing effect to hugs. Truly, hugs are used in therapy for healing, both mentally and physically. There is a drugged that is released into your body when you hug that makes you feel needed, compassionate, and happy. It is sad, to me, that there are people out there who do not like to hug. If you come across a person like this, do NOT force a hug upon them. That is who they are. Even though it has been proven that hugs lower blood pressure, calm high heart rates, and increase comfort levels, if the person is not ready for a hug, we should respect their space. I once dated a woman who told me, “Now that we are in a relationship, you can never hug anybody else again.” She was referring to ANY BODY, I wasn’t going to be allowed to hug family, friends, men, women, children, or strangers. I was only allowed to hug her...that relationship did NOT last. It was sad, really. Hugs are supposed to be happy things. Make them count in your life! Say Something/Don’t Say Something - Though a contradiction in statements, this is one time that YOU have to decide whether to say something or not. There is closeness and connection in hugs where nothing is said. But there are times when you can say something that is only meant for you two alone...and the hug is the best time to deliver that message. Do a Heart Hug - A heart hug is when you hug with your heads to the right of the other person. When you do this, your hearts are the closest to each other than at any other time. However, for some reason, a majority of the population shies away from heart hugs. It may be too intimate for some. But you should try it sometime. Heart hugs are extra special. Personalize Your Hugs - There are individuals who I do specific kinds of hugs with. For example, I have a friend who is much shorter than me and every time I hug her, I kiss the top of her head, make loud kissing sounds, then make a “POP” sound and a little jerking motion as if my lips were stuck to the top of her head and I had to pry myself away. She loves my hugs and now if I forget to hug her that way, I GET REMINDED! !Another friend of mine recently lost his wife to cancer. Even before he lost her, our hugs were meaningful and poignant. He has a huge heart and I love him dearly. After his wife passed away, our hugs have even more emotion and essence. He tells me that my hugs are healing to him and I, myself, feel healed from HIS hugs. 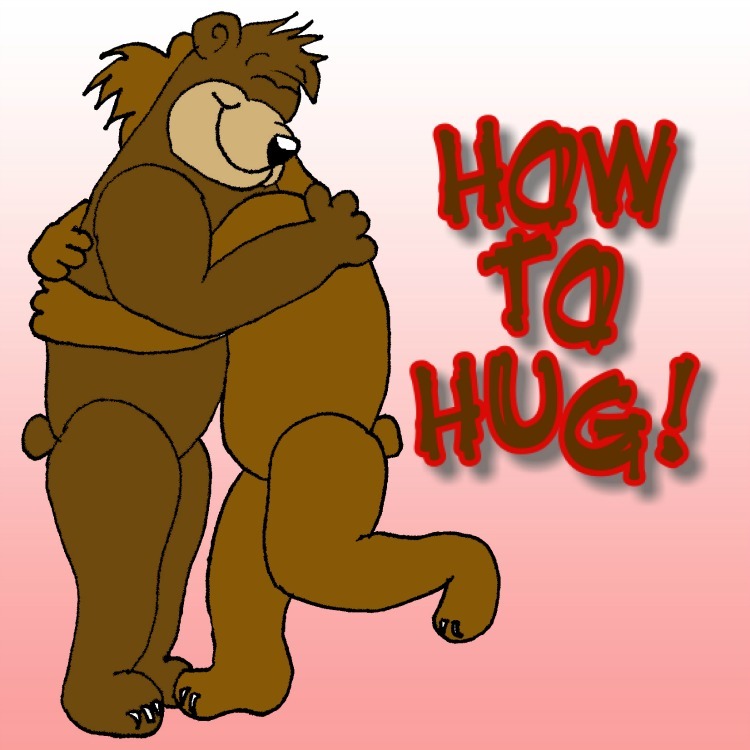 Other ways you can personalize a hug is add your own personal saying, pick up the person, or add a dip into the mix. Oh, another thing...if the person is a GREAT HUGGER, tell them! It brightens the day for both of you! Hugs can be fun, they can be emotional, they can be special, they can be friendly, and they can be romantic. But whatever the type, HUGS. BREED. HAPPINESS!! And that’s what it’s all about anyways, right?